Lika Behar jewelry is a detailed blend of modern feminine and historic inspiration. She often uses 24K gold and oxidized sterling silver often with a hammered texture. Two new pieces are no exception. Gold on one side and oxidized silver on the other, stacked open bands meet and alternate in the middle. This creates a zebra stripe effect. 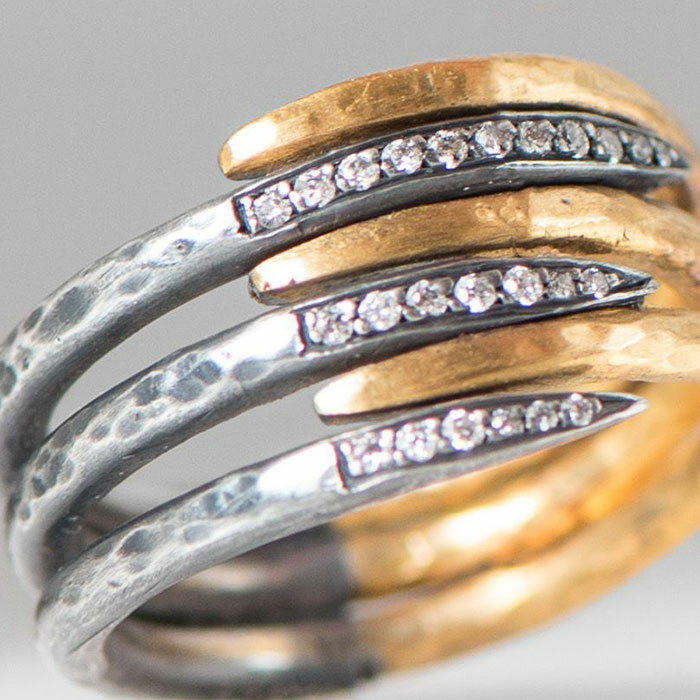 Each silver band is set with a row diamonds. 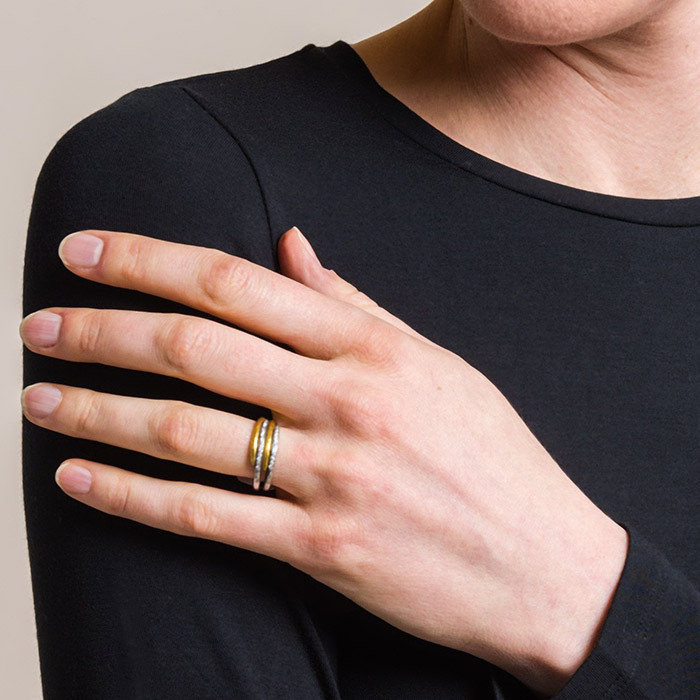 The Lika Behar zebra rings are available in a six layer or four layer design. or in-store at Santa Fe Dry Goods.